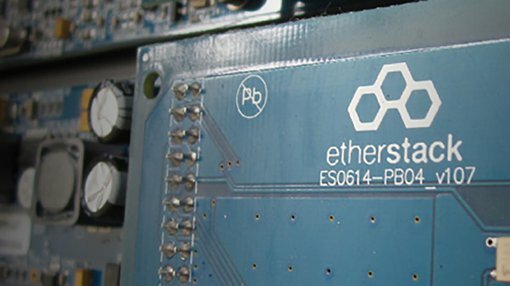 Etherstack plc (ASX: ESK), a specialist in wireless communication technologies has signed a US$2.6 million contract with Ergon Energy involving the provision of support services to their P25 digital radio network over the next five years. This is an important development from a number of perspectives. Given management recently provided revenue guidance for the 12 months to December 31, 2016 in a range between US$5.8 million and US$6.1 million, this contract represents a significant revenue source. From an operational point of view the Ergon contract is also encouraging given the group is currently deploying a 13 county network for US utility, Jersey Central Power and Light (JCP&L), of a similar type to the Ergon Energy solution. The particular network was designed and manufactured by ESK and is one of numerous large-scale electric utility and public safety radio networks that the company has deployed and supports around the world. The Ergon Energy solution was initially commissioned in 2011, and the signing of a follow-up contract should be viewed as a vote of confidence in the company’s technologies and operational ability. Although it is still early stages in this company’s turnaround, so seek professional financial advice if considering this stock for your portfolio. In relation to this most recent development and the nature of contracts usually negotiated by ESK, Chief Executive, David Deacon said, “The deployment of these networks typically incorporate long-term support agreements over the operational life of the networks which often exceed 15 years in length”. As ESK establishes more mission-critical radio networks globally, Deacon anticipates growth in recurring revenues through support and maintenance agreements with its expanding customer base. On this note, the company referred to a number of new contract wins already achieved in 2016 when delivering its interim result at the end of August. The group has a relatively diversified revenue base, generating income from the defence, utilities, transportation and resources sectors. While it could be argued that the ESK’s share price doesn’t truly reflect the achievements of the company over the last 12 months, it is worth noting that its shares are thinly traded and this tends to make for lumpy share price activity. However, a sharp spike from its 12 month low of 9 cents in early September to an intraday high of 16 cents last week could be recognition of the company’s merits. The current share price of 15 cents is only just shy of the 12 month high of 17 cents, but prospective investors need to take account of the fact that ESK’s low liquidity can make entering and exiting the stock somewhat difficult. Consequently, it should be viewed as a speculative investment and past share price performances are not indicative of future trading patterns, and as such should not provide the basis for an investment decision.